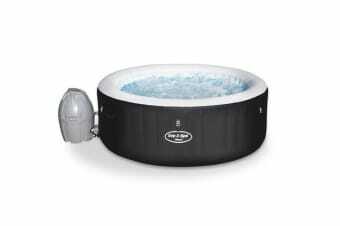 The Bestway Inflatable Spa utilises an I-beam construction with a fabric-coated material for its outer walls. It uses a an AirJet™ system that combines 120 jets of bubbly water with heat to create a hydro-massage. 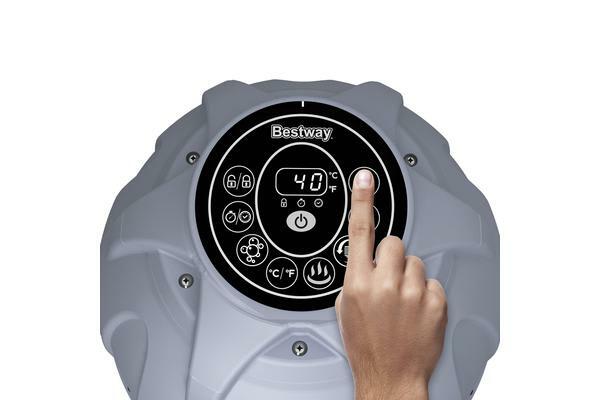 The spa can fit from two to four adults and control of the functions is through a soft-touch digital control panel to adjust water temperature and the automatic on/off timer. It has a drain valve, Mosaic-print pool liner, reinforced cover with safety lock clips and a built-in air chamber. The spa is appropriately insulated and takes about 10 mminutes to set up.